Road Trip: Hocking Hills | The Food Hussy! We were lucky enough to take a couple of days off and head to Hocking Hills. Neither Larry or I had been before - so we were both looking forward to it! Before we took off - we had our best ever pet sitter (my mother-in-law) come with her pooch to watch our dogs. 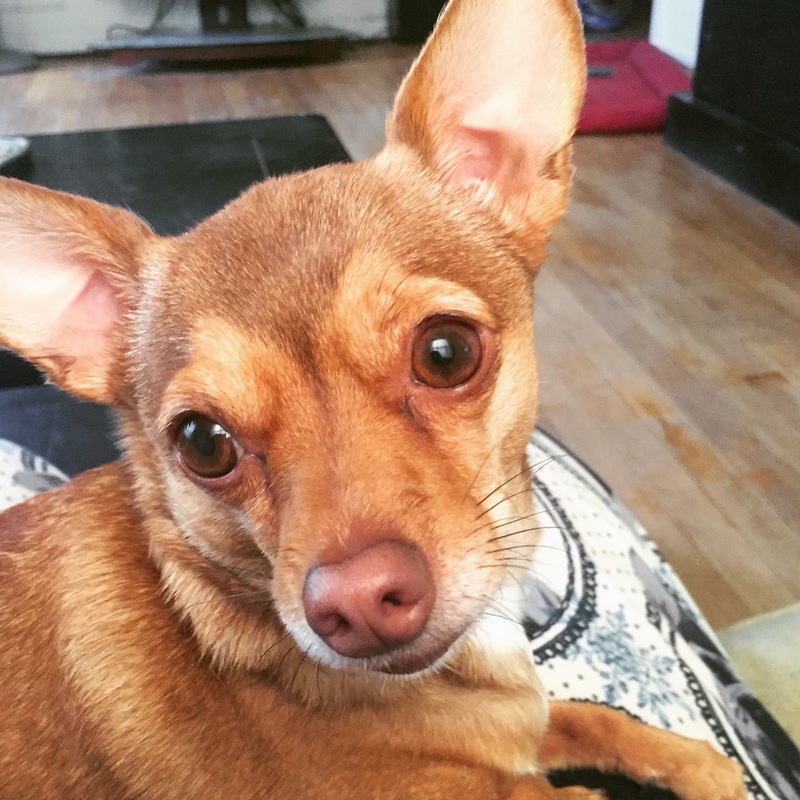 This is Chewy - isn't he adorable??!!! 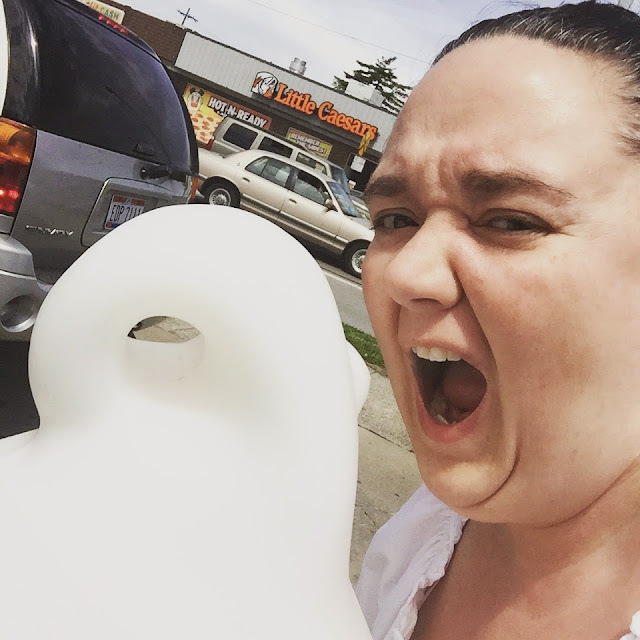 Then we headed off on our road trip - we had a quick stop at Dairy Queen for ice cream. You should have seen the look I got when I jumped in the drive thru lane to take this picture. 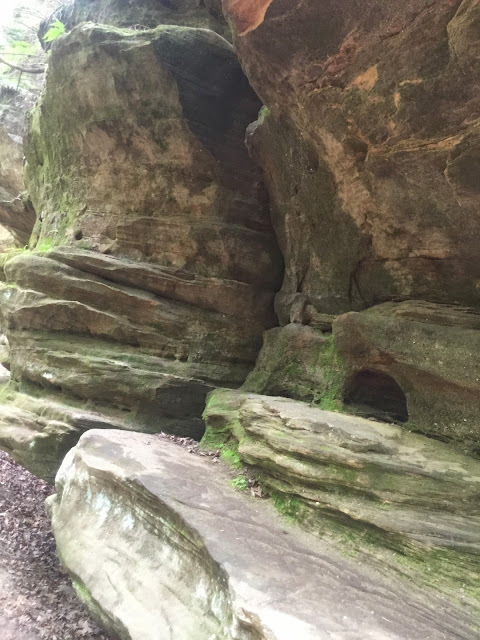 The folks at Old Man's Cave Chalets provided us the Romance in the Ravine cabin to stay in for the night. It's awesome - and not just saying that because it was free - everything was updated and it was EXACTLY like the pictures (that doesn't always happen). The Chalets are great - they have a play area and a large office. Not all cabins have this nice of a facility - this provides security and comfort - knowing there's people to call if you need them. There are cabins of every size - from these super cute A-frames to a giant lodge for 10. The photos on their website are really good - it's not always easy to take photos of rooms - but they did a great job. And they are all right on - 100% identical - which is super comforting. 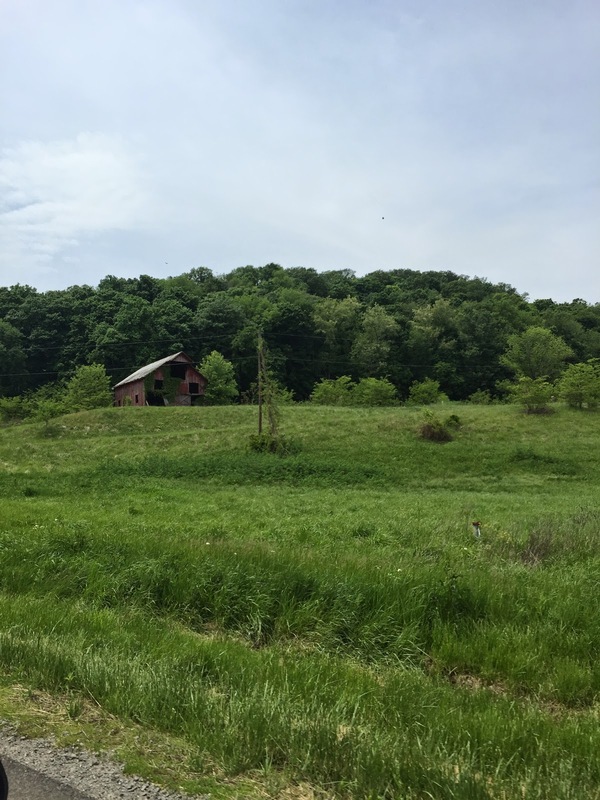 The cabin is super peaceful - you pull into your driveway and it's your own private oasis of comfort. After a quick nap - we headed out for a bite to eat. 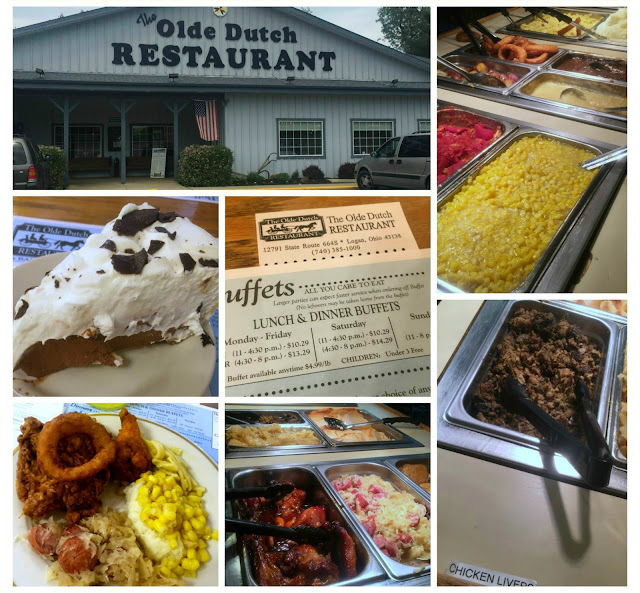 One of the staples that seems to be a requirement is the Olde Dutch Restaurant. It's mainly a buffet but also has a menu to order from. I loaded up with onion rings, fried chicken, sauerkraut & sausage, mashed potatoes & corn and finished up with a huge piece of homemade chocolate cream pie. 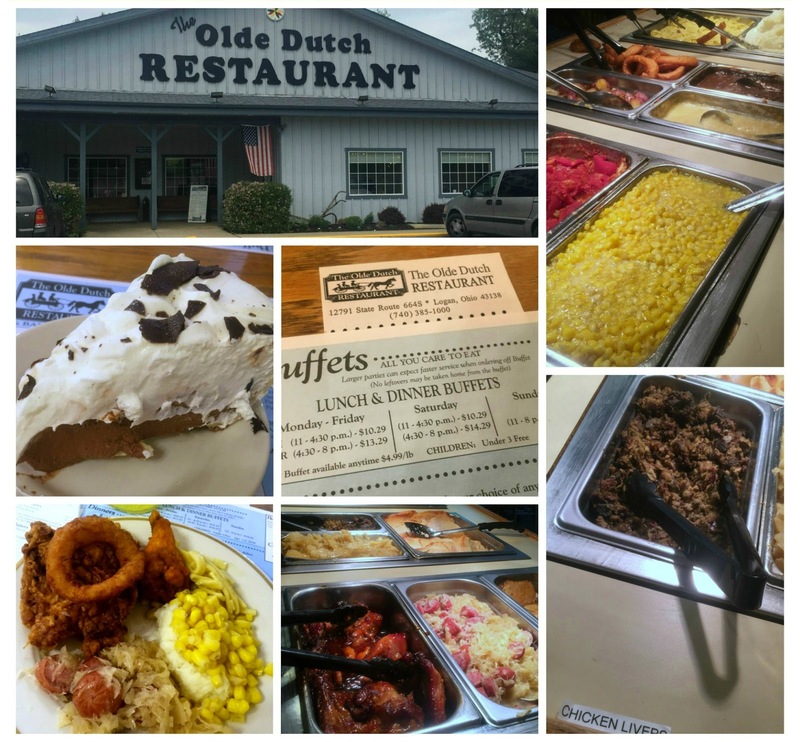 Some people aren't fans of a buffet - but I love 'em and so does my hubby. We can always find something we both are hungry for and there's always enough egg-free food for hubby. I really loved the sauerkraut & sausage - it wasn't real strong. The pie was great as well and there were so many dessert choices. I'm not kidding when I say there were probably 10 different pies on the dessert table! ...they have a petting zoo and mini golf course! 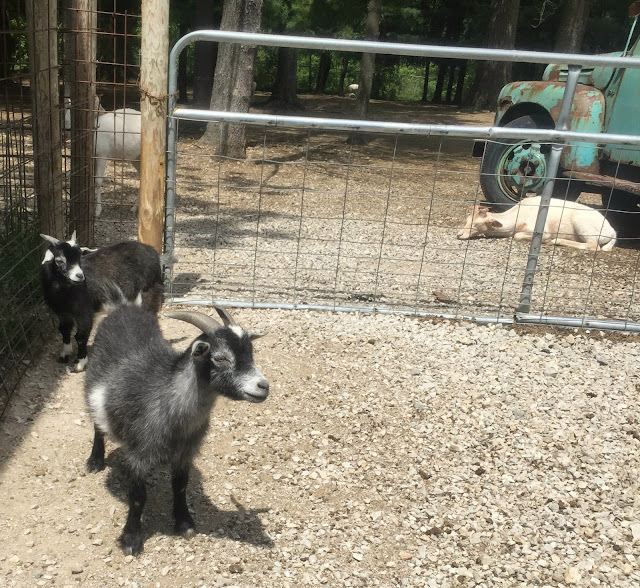 The petting zoo is mainly just some goats - but they're cute goats. Be sure to take change with you for the snacks! 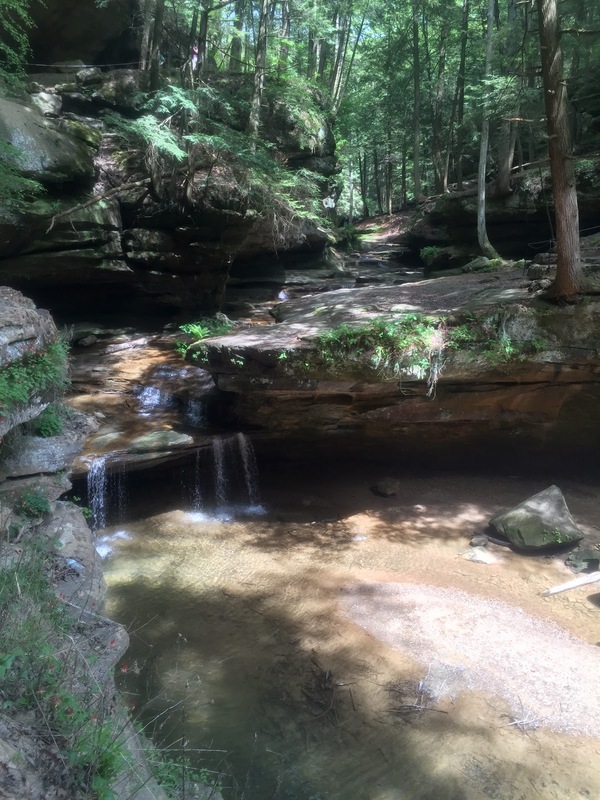 Then we went to Old Man's Cave - it's a free park with multiple trails that are of varying degrees of difficulty. We puttered around for an hour or so on the trails. They were easy and beautiful. 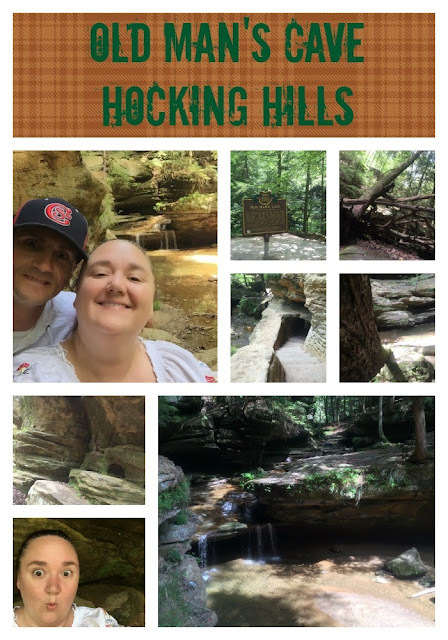 The best thing about Hocking Hills is that all the parks/caves/trails are free! So really your main cost is a place to stay and food (and our cabin had a full kitchen). 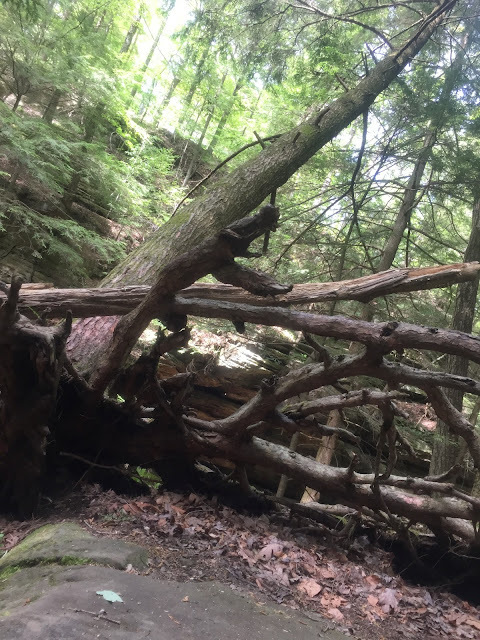 Love this shot of this uprooted tree...the roots are amazing. After all that hiking - we were hungry. 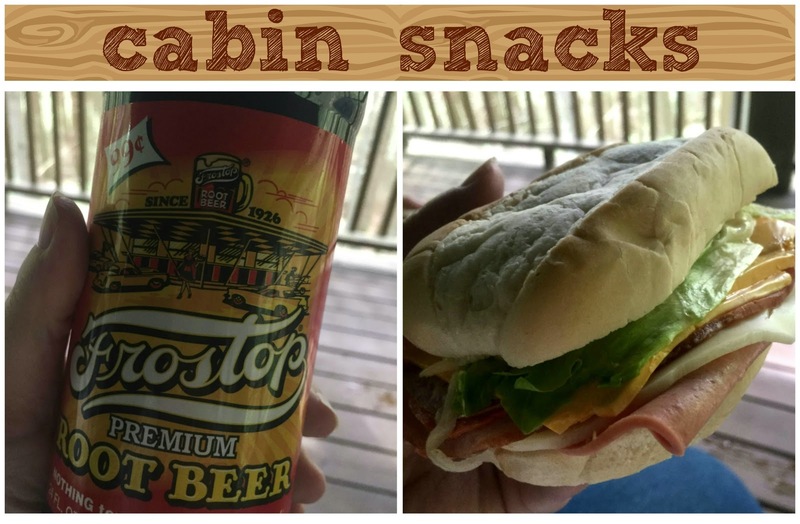 There's a little store right next to our cabins that has all the last minute items you'll need. We grabbed some tasty root beer and sandwiches. 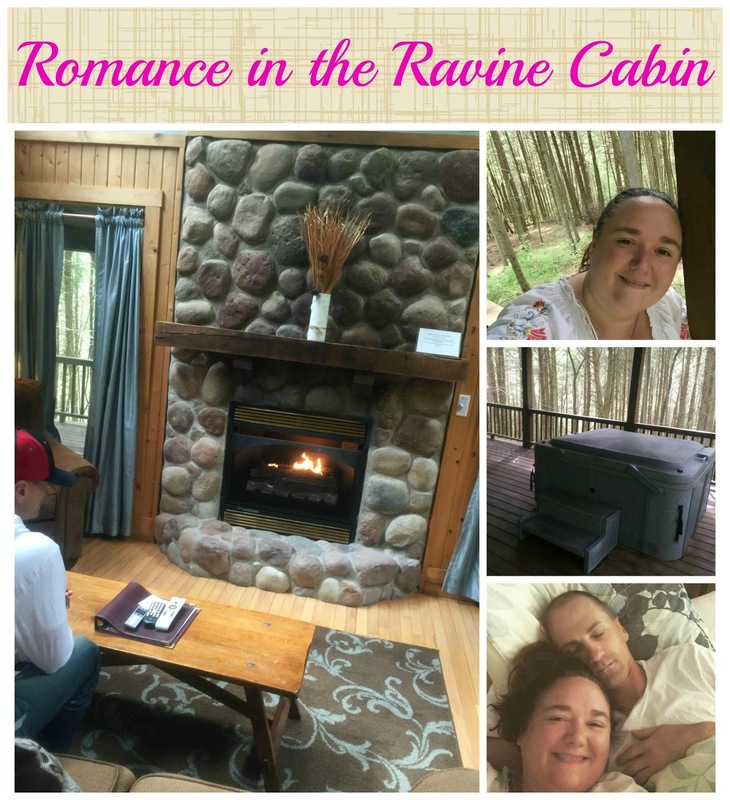 Roadtrip Stop 4: Old Man's Cave Chalet - Romance in the Ravine HOT TUB! And then that night - into the hot tub! As we were packing up in the morning to leave the cabin - I did a quick video tour for you - check it out! Be sure to like them on Facebook to keep up on their specials. For breakfast - I turned to Urbanspoon and found the M&M Family Diner and it did not steer me wrong. The place is a little too Buckeye-happy for this Hawkeye fan but that is the only complaint I had. 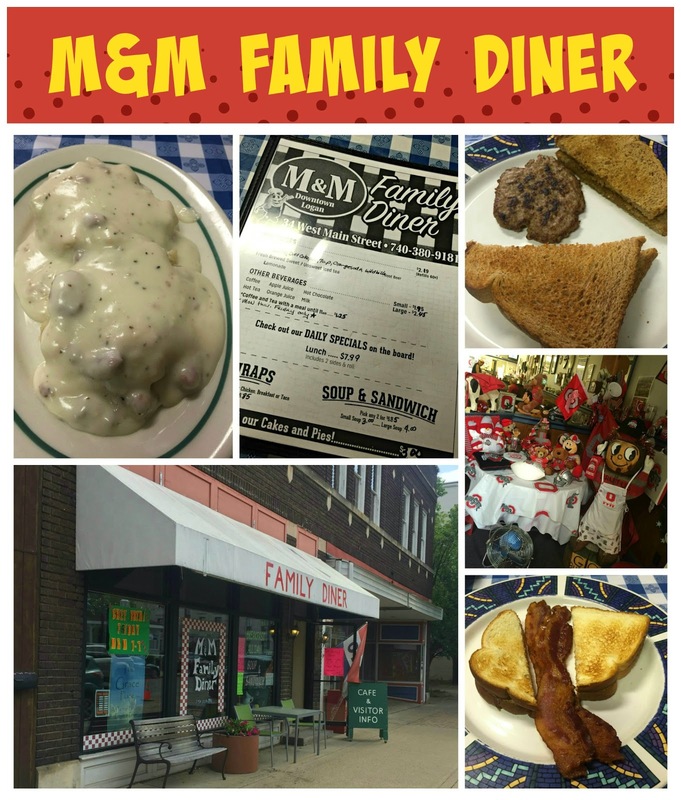 We each got biscuits and gravy - and you know I'm an expert - and they were delicious. Creamy with lots of sausage and a bit of pepper - slathered on top of light and fluffy biscuits. Larry got bacon and toast - while I got sausage patties. The server told us they make their own sausage! I'm normally a link girl but these homemade sausage patties were REALLY great. 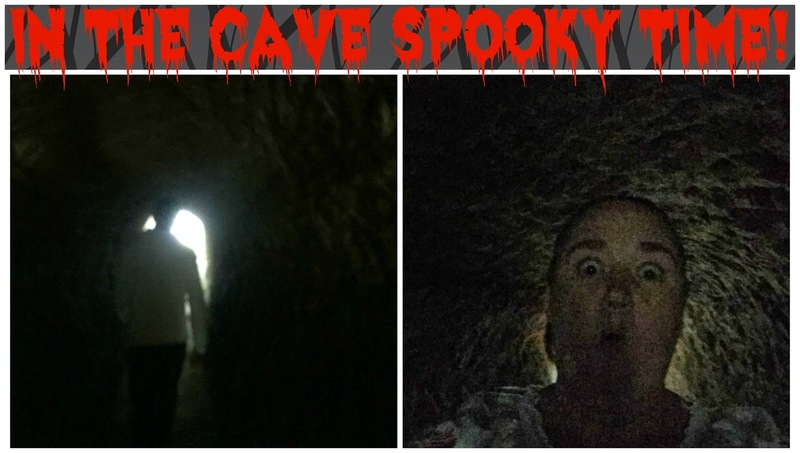 I would highly recommend M&M - it's right in downtown Logan and is only a few minutes from the caves - so it's a quick drive and well worth it! After a hearty breakfast - it was time for shopping! 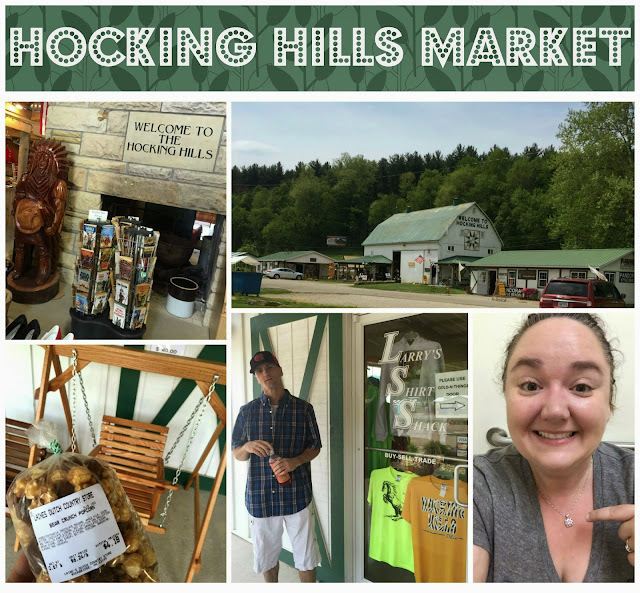 We headed up one exit to the Hocking Hills Market - there are stores, restaurants and flea market vendors. There were all the usual suspects: antiques, Amish and t-shirts. We even visited Larry's Shirt Shack (had to - right?) and next door was a jewelry store. My sweet hubby even bought me a necklace that goes really well with my wedding ring! Yeah for me! And on our way back home - we never take the interstate - so on our back roads - we came across this beautiful barn in the middle of a field. It's just peaceful and heavenly. 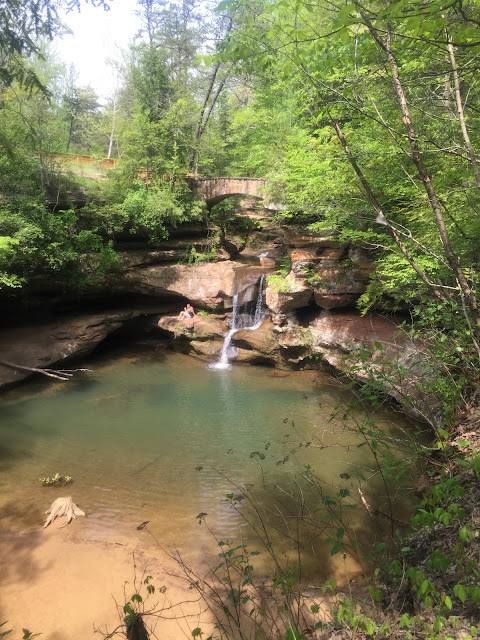 Thanks again to the Old Man's Cave Chalets for the cabin and thanks to Hocking Hills for the beauty!